For years, I warned and warned the Christians of the danger with the Hard Left in power. I warned what would happen, when the military was turned over to the Hard Left reprobates. Now that they are in power, the reprobates are focusing on the real Christians as enemies of the state. It is not the Muslims, but those who believe in the Bible and love God. The church simply refused to take a stand and now the monster is coming after them. If Jesus does not come first, there is going to be bloodshed and persecution in America. The pastors and leadership in America failed the people. They failed to warn. They failed to stand up to evil. They failed to intercede and beseech God for an outpouring of the Holy Spirit to arrest the evil and win souls to Jesus. They have a lot to answer for to the people and God. They are very similar to the pastors in Germany during the 1930s. They failed to stand up to Hitler. I do not see any time left. 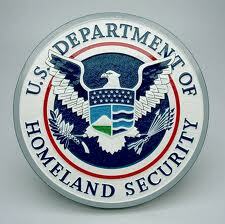 Obama is building his Homeland Security which are his “SA Brown shirts.” He is building it right before your eyes. In the end, this will be his personal army to terrorize the people. I really do hope that you take me serious. Many in Germany did not take Hitler seriously to the destruction of the Jews and millions of others. God is turning America over to Obama and the Hard Left as judgment. The church lost its power and its heart for God; thus, the reprobates are filling the void.